New album "Paper Monsters" available May 31, 2017! France’s infamous D.I.Y. Rock Monster returns! 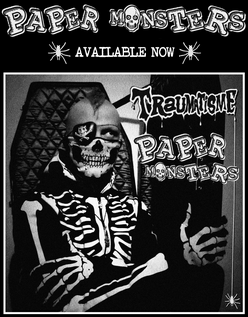 Traumatisme is ready to unleash his long-awaited sixth album, titled Paper Monsters, on May 31, 2017. Nearly fifty minutes of melody-driven cathartic rock and roll from the morgue, as usual 100% D.I.Y. and produced, composed, recorded and performed entirely by yours truly. 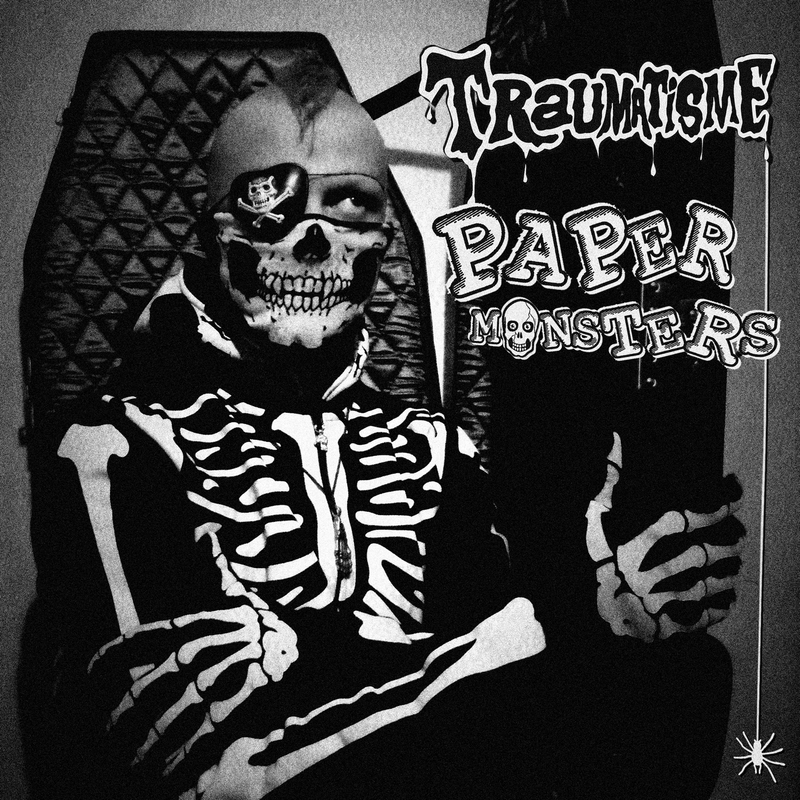 As always with Traumatisme, Paper Monsters will be self-released; the album will be available as a free download, and also on Traumatisme’s YouTube channel. And of course there will be a CD edition as well, featuring a 8-page booklet with haunting photos and lyrics to every song. It will be a true collector’s item, strictly limited to 100 copies and only available from Traumatisme's online store, where you can already pre-order it! The first single and its accompanying music video will arrive very shortly, so please stay tuned. In the meantime, Traumatisme is proud to unveil the album’s cover and track listing!